I finally got around to putting together a Christmas gift guide for this year, which I know many readers have asked about (and like forwarding directly to their wives). I have deliberately not included either Permanent Style products here, or those from the pop-up shop. This is both to make the commercial relationship clear (ie, there isn't one), and because the pop-up and PS things have had enough coverage elsewhere. I have also included a mix of non-clothing items: a few homewares and pieces of stationery think I think share values of craft and understated style with clothing on PS. 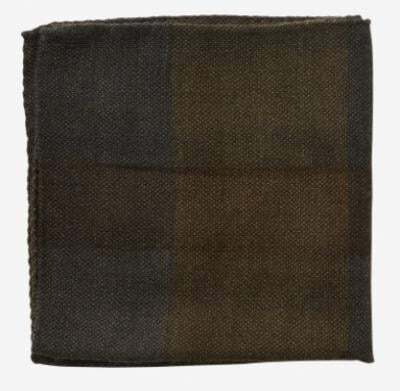 For the man in the office that wants to dress up without looking out of place, a dark-toned pocket square can be a nice, subtle addition to an outfit. This is something I have covered more than once before, and for that please forgive me. But the Anglo-Italian hanks, in dark and harmonious block colours, deserve a place on this list for answering that need so perfectly. 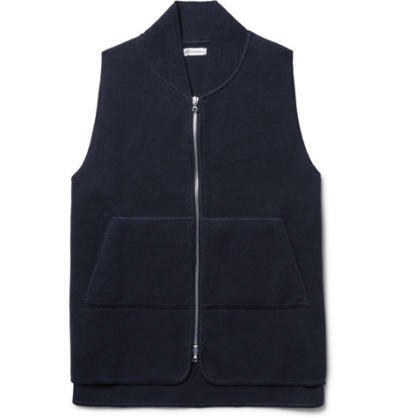 Among my favourite pieces from Connolly this Autumn/Winter were navy and natural-coloured wool vests. I used to have one in a similar style from Albam years ago, and found it endlessly useful. The style has a short shawl-collar, zip front and a drop back, and would usually be worn like a gilet - perhaps over a shirt but more often over other knitwear. As with many other pieces, Connolly is set apart from designer brands by its love and understanding of traditional cloth - in this case a hardy but lightweight lambswool. I'd recommend their over-sized herringbone coat on the same basis (blend of modern design and traditional materials) but at £1300 it is too expensive for a gift guide (if still good value for money). From J&FJ Baker, the last remaining oak-bark English tannery, which supplies leather soles to all the Northamption shoemakers we love. A notebook cover that can be polished and will look increasingly good with age. And inserts that are refillable, to allow it to be used for all those years. Offered by a site called Waremakers, which resells a nicely curated selection of accessories, bags and homewares. I recently bought a Fridja clothes steamer to give all my linen tailoring a blast of steam before putting them away for the winter. I've tried a couple of other steamers, but was impressed by the value of the Fridja, as well as the series of online instructional videos. The only thing it can't quite deliver on is pressing creases into trousers, as the clip-on attachment can't press the material hard enough - especially on anything other than lightweight worsted. Although I bought the stand-up f1000 (£99), I also tried the portable f10, which is just as powerful - it just needs to be refilled more often. An enormous amount of money to pay for a tin to keep your tea in, but it might be the homeware piece that gives me the most pleasure. I use mine every morning, to spoon out the coffee into a stovetop espresso maker. The patina it now has, and the beautiful hand-created functionality of the airtight fit, are lovely. Of course, it helps that Jamie and I visited them in Japan, and saw it being done first-hand. Available at Postcard Teas in Mayfair, as well as the Margaret Howell store on Wigmore Street, which is a great gift destination for anyone that likes mid-century wares, books and furniture. 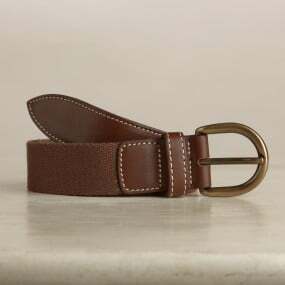 I rarely wear a belt, but when I do it tends to be something simple and functional, such as brown woven-leather or brown webbing with a veg-tanned leather section at the front, as here. I'm so used to having the infinite adjustability of side straps that I tend towards styles like these that aren't restricted to just a few widely spaced holes. And the metal must be brass, which will tarnish and age as well as the leather it fastens. A lovely, if indulgent, thing for the colder months. Cotton/cashmere T-shirts that aren't too floppy and shapeless, and have enough cotton to be worn like a normal T-shirt, are hard to find. I have one from Private White and wear it under shawl-collar cardigans and as an occasional pyjama top. The plain cotton-jersey versions are also worth trying. 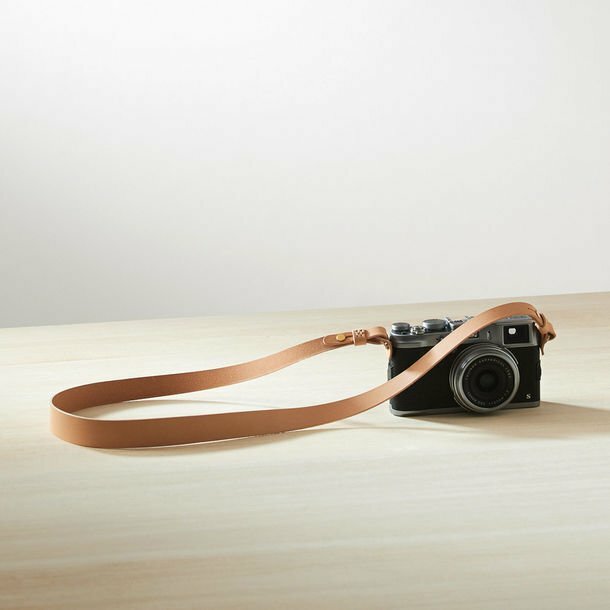 A nice, functional camera strap in a natural-coloured leather that darkens quickly with use. I wouldn't use something this unpadded for a big SLR, but for a compact-system camera around the neck, it works very well. Again, nice to have nice leather too. Samuel is a true French obsessive, with all the craziness and perfectionism that goes with it. Self taught, he often brings a completely fresh eye to his designs - such as here, where he deliberately uses the reverse of the mother-of-pearl shell to highlight the subtle, perhaps more rustic texture of its underside. 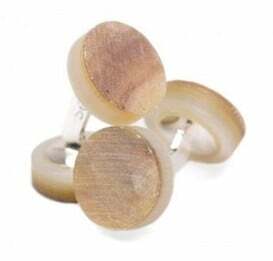 As with many cufflink makers, some of Samuel's designs are a little too 'fun' for me, but I like these particularly. Also beautifully made, in the short silver bar and setting. I met potter May Tremain at the pop-up store recently. Her husband is a reader of the blog and they came by the show me some of her work. May's wabi-sabi philosophy chimed with me immediately, as I did a lot of studying around Japanese crafts and concepts when I travelled there last year. 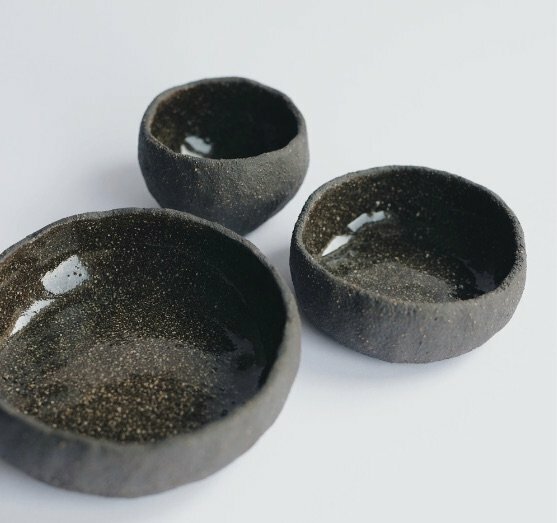 The unfinished look won't be for everyone, but if you do like it, I recommend the mugs and black rough/polished bowls. There is a little stock in the studio but most things are made to order. You can follow the discussion on Christmas gift list 2017 by entering your email address in the box below. You will then receive an email every time a new comment is added. These will also contain a link to a page where you can stop the alerts, and remove all of your related data from the site. Utterly brilliant as usual. I wish I had your vision and style. Interesting as always! Nice stuff. I wonder how much of the sales in the London shops (Trunk, Drakes etc) goes to other European countries. It would be interesting (without starting a debate about Brexit) to hear what it would mean for them if UK leaves the Single Market. A shame that you feel unable to include anything from the pop-up. I dropped in two Saturdays ago and bought a cable-knit from Luca, a tie in just the right shade of burgundy from James, and a copy of the Style Guide. All would make fantastic presents. Especially the tie – so great to see so many former Drake’s guys branching out with their own unique takes on that aesthetic we all love. That and an ancient madder from Anglo-Italian are my two favourites right now. Thanks. Yes I know what you mean, I guess the pop-up brands will be getting a lot of coverage anyway. Including James when he gets his site finalised. And no, sorry I’m not sure that Top 10 is going to happen. I haven’t had time to properly research it, with the pop-up going on, and I’d rather not put something out that’s half baked. No worries, that you do actually take the time to research and consider these posts is what makes your writing so special – and totally sets you apart from the tragic “8 Chelsea Boots you MUST own this winter” crowd. Both nice ideas – and I’d recommend Private White as the best place to go to try a range. They have almost everything, and all done well. Of course, the Rake still gets a lot of respect from me for their consistent taste, and I honestly admire some of their unique collaboration pieces. But the strong commercial feel does take away part of their credibility, whereas in Simon’s case I can confidently place my trust in him and the artisan he recommends. Speaking of which, Simon, I think it is high time you do a revision piece on some of your less satisfactory acquisitions. Globe-trotter is the first coming to mind, now that you’ve officially ditched it, in favour of Rimowa. The old title of ‘How Great Things Age’ might be considered misleading in this case. Thanks, very much appreciated that that comes across. And nice idea, happy to do another piece along the lines of ‘things I was wrong about’! I’m afraid there’s no such thing as a stove top espresso maker. Espresso is rather well defined (see works by Illy) and I’m guessing you are simply referring to a moka pot which produces a brew similar to espresso only in terms of volume (and perhaps viscosity in some cases). 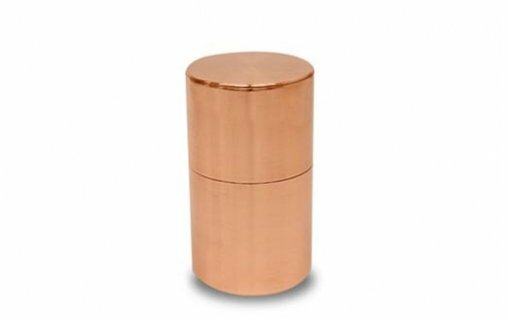 Also not quite sure how food safe copper is, are those tins coated inside? Yes, all coated inside with tin, which is certainly safe. And yes of course you’re right, strictly speaking it is not espresso. But it is nice. Many thanks for the quick reply Simon. And you’re of course right, a complete switch is not an option (plus I actually kind of enjoy the contemplating art of pressing, at times, with that feeling of visible immediate accomplishment so rare in standard office tasks), but I oftentimes find myself with a shirt with just some simple worn-once creases where this may be an option. We’ll see. Great tips all around. That pottery at no. 10 looks absolutely brilliant. Lovely to hear that you appreciate our work JB. The steamer idea is great, and one of the clothing items I believe has the largest paybacks (relative to the few number of people who have/employ them). 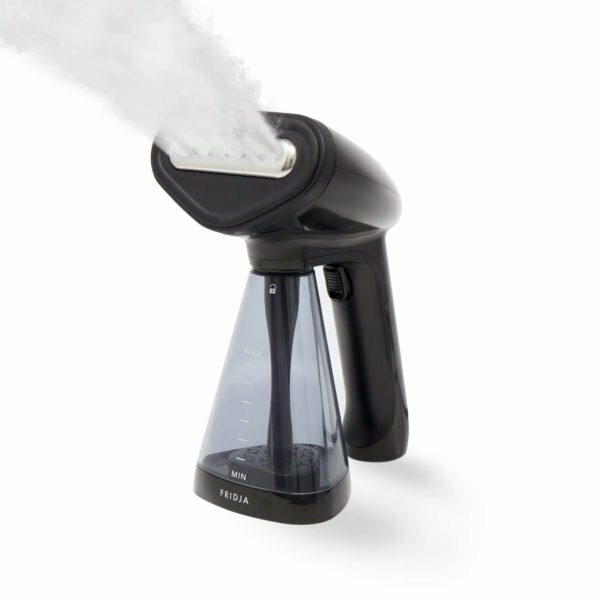 A steamer is indispensable especially if you live where there are few acceptable (“good” is even more rare) cleaners. If you do finally get and use one, it will become part of your clothing maintenance routine. However, for around the same amount of money, I would recommend one of the fantastic irons from the German brands (Rowenta being the one I have). It has a monster steaming feature (smaller reservoir than a dedicated steamer, though), but you get a first rate 300 hole iron as part of the bargain, which would answer the “pressing” dilemma you posed. Oh, and you won’t take a back seat in terms of style/design relative to any steamer on the market. Fantastic list! So much more depth and thought than you’ll see anywhere else. All the best to you and your family this Christmas season, Simon! 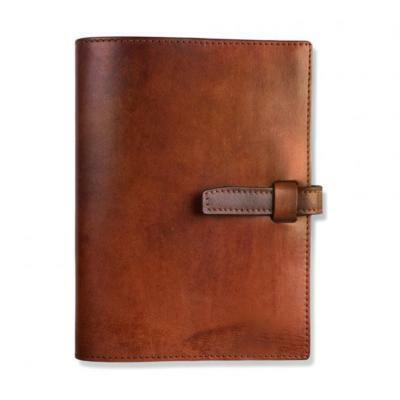 Thank you Simon for included our Oak Bark Tanned Leather Journal in your curated list – much appreciated. Its worth mentioning that the book block is sewn for us by a bookbinder (The Binding Place) in Worcester. Sewn pages have that subtle luxury of lying flat wherever you open the book. Thank you so much for this but I am afraid you are a bit late in our household as I had to give up my list in November! Top of that list was the PS raincoat closely followed by a Berk McQueen jumper. Due to austerity I have been told I can only have one or the other but blowed if I can pick. However I have another three items on my list and I wonder if you would care to comment on them as I don’t think I have seen you mention these in your ever excellent blog. I have several pairs of cufflinks from Braybrook and Britain (before they went all modern and moved away from double ovals) and can vouch for their quality and workmanship; hand made in the UK. I have spotted a pair of gilded lapis lazuli cufflinks at £265, alas only single ovals, that I really hope will be under the tree. My old Hunters need replacing and I am really taken by Cordings Le Chameau Men’s Chausseur Leather Lined boots. As well as being lined in full grain calf leather they have a really strong zip which makes them far easier to get into and out of. The only problem is the price; I am not sure I can justify £340 for a pair of (albeit very well made) wellington boots. By the way if you were to do a piece on the most improved shop in London I think Cordings would be up there. Not only have they improved the range but the service is superb these days. Finally I was in Bury St Edmunds over the weekend and managed to find a wonderful pen shop. Browsing, as you do, I saw the most sublime pen. The Namika Nippon pen has a resin barrel decorated using the Japanese Hira maki-e technique by, I was told, an artist called Kokkokai. Its decoration depicts a dragon at the foot of Mount Fuji. They have other designs but I thought some were just a little garish. This version however was superb and its weighty, I would guess about 20 grams, and sits perfectly in the hand. I almost bought it on the spot until I spotted the price – £439. It is a work of art and sits far better than my Montblanc Meisterstück, but having two pens costing over £400 seems a little excessive. Nice to have such problems! As we are now firmly in Advent I have no problems in wishing you and yours a very happy Christmas and I hope you all enjoy 2018.